9am, Saturday April 20th: Bring viable plants individually packaged and labelled and ready to trade for other plants you may need! 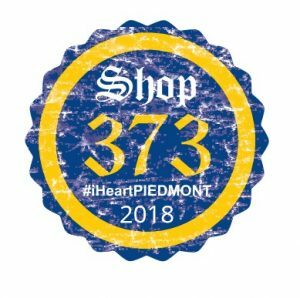 The library is one of many Piedmont establishments offering library cards with added benefits: discounts at local shops for a full year! ...the library offers electronic books, free with your library card! Call and ask how to read at 3am! With OK Virtual Library, all you need is a Library card. No late fees ever on downloaded & streaming content. Look for our table at the Easter Egg Hunt, Piedmont Park, Friday night from 5-9pm. Hunt eggs and grab a prize from your local Piedmont Librarians! Piedmont Garden Club will be hosting its annual Plant Swap April 20th at 9am. Bring plants individuated and labelled for easy trading. Bring 10, take 10 new ones home, it's a great deal. Swapping is fast, be ready to run, then hang around afterward for great conversation with like-minded plant lovers. See what's coming up at your library! Does the library have computers? Computers are available to the public on a first-come, first-serve basis. The library has one meeting room available for use by the public. The room should be scheduled in advance by calling 373-9018 and speaking with a librarian. The room seats between 30 and 35 people at 5 tables. Limited kitchen facilities are available. Rooms used during library hours are free of charge to non-profit organizations; however, if refreshments are served, a $10.00 fee is applied. For-profit groups may rent the room during library hours for a $10.00 per hour fee. If applicable, the refreshment fee is added. Who may have a library card? Library cards with borrowing privileges will be issued upon request to residents of the City of Piedmont and surrounding Oklahoma communities. Children under 12 need parental signature in order to get a card of their own. How many items may be checked out at one time? The limit per card is a total of 10 items at any one time. Items are due back to the library within 14 days. © Piedmont Public Library. All Rights Reserved.